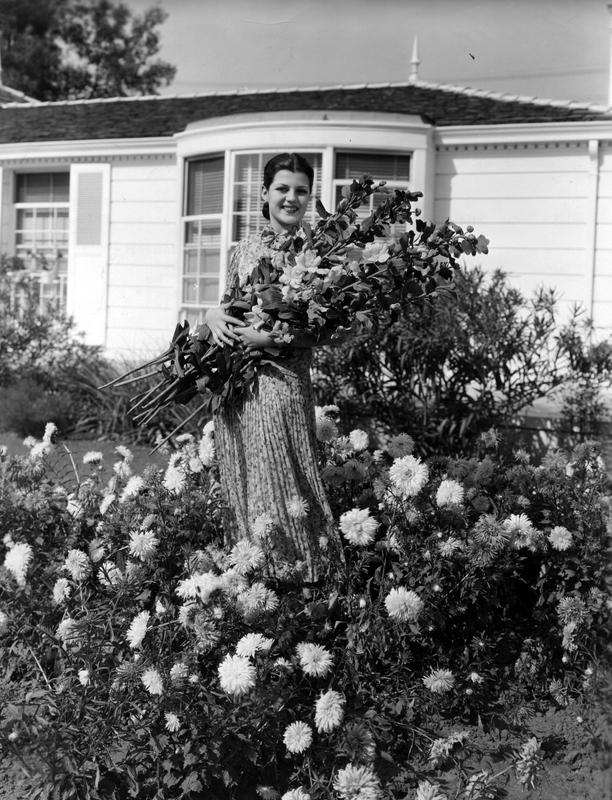 Rita Hayworth's name file covers her entire career, from her mid-1930s debut as Rita Cansino at Fox to her transfer to Columbia in the late 1930s, from her war-time superstardom to her 1949 retirement to marry Prince Aly Khan, and from her 1953 return to filmmaking to her true retirement in the 1970s. The most richly documented period, however, extends between her years at Fox and her comeback role opposite Kim Novak and Frank Sinatra in 1957's Pal Joey. The photos in her file capture her stunning beauty even as they document the complex racial politics of her star image, which asserted her mixed heritage and emphasized her manufactured image. Hayworth was born Margarita Carmen Cansino to Spanish dancer Eduardo Cansino and Irish-American Ziegfeld showgirl Volga Haworth. It was her dancing that attracted her to the attention of the Fox studio in Hollywood, where she was signed under the name Rita Cansino in the mid-1930s. Fox cast Cansino in ethnic roles. During her three years at the studio, she played Mexican, South American and Spanish as well as Russian and Egyptian parts. Fox publicists even modified Cansino's appearance to exaggerate her "Latinness." The studio make-up department dyed her hair black and darkened her skin tone. Though her look favored her father, Cansino's Irish mother was also frequently mentioned in publicity. 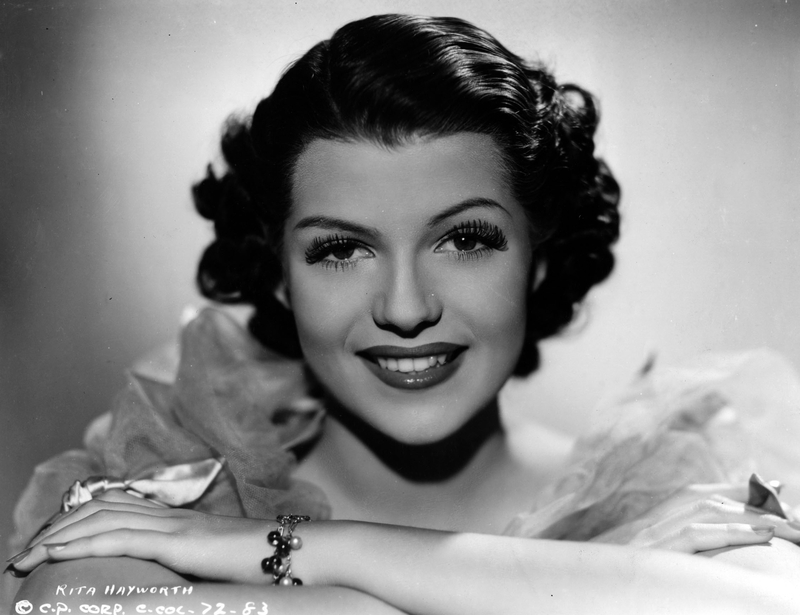 In 1936, Fox changed Cansino's name to Hayworth (adding a "y" to her mother's maiden name), and launched a significant makeover, reversing their previous approach to her make-up. Nevertheless, Hayworth's career at Fox was to be short-lived. That same year, the studio dropped her contract. 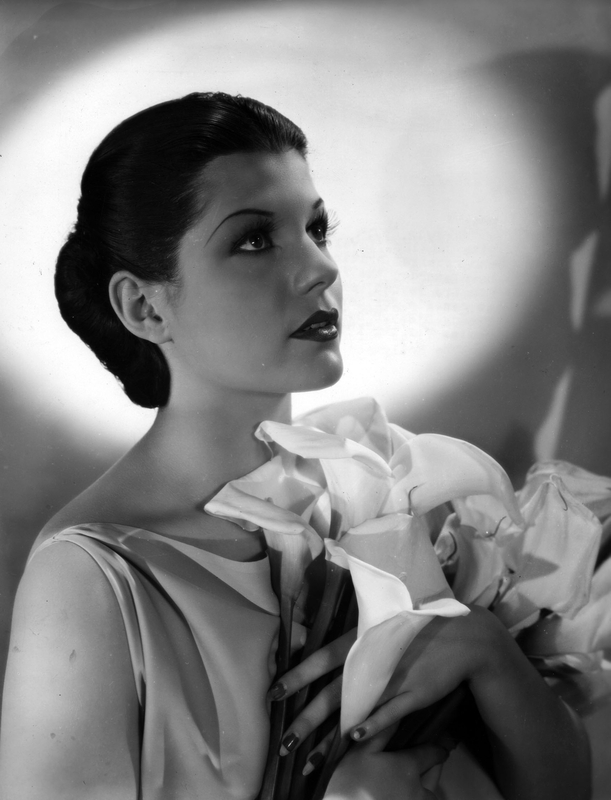 The following year, Hayworth moved to Columbia. There, her career took off (and indeed, Columbia executive Harry Cohn often receives credit for her name change). Columbia launched an even larger-scale (and better publicized) make-over. The American film-going public well-knew that Hayworth was on a strict diet, that she took diction and singing lessons (though they also knew that her singing was dubbed), that her hair was dyed red and that she was subjected to years of electrolysis on her forehead. In 1939, Hayworth's hairline transformation was complete. The process was described in a 1942 issue of American Magazine as follows: "But changing her name wouldn’t be enough. Rita had her long, black hair cut short, then bleached. She looked worse than ever, so she tried auburn, lighter in front than in back. ‘That’s it,’ she said, when she saw her face in the mirror." However, her face was too round, she didn’t have enough forehead. To lengthen her face, for three years [sic] she went every week to have her hairline moved back, at the top and on the sides, a hair at a time by electrolysis, until nearly an inch more [sic] of her forehead was exposed. At first her hair was so tough it could hardly be bent by a hairdresser. Daily, her scalp was rubbed with heavy oil, steamed, shampooed, and brushed dry. Two evenings a week she spends two hours having her hair bleached and colored. . . After a year of these beauty treatments, Rita was a different girl." Publicity also downplayed Hayworth's abilities as an actor. The same article touts “Rita’s talent and vitality and ambition” even as it denigrates her acting skill: “Her pictures were all in the papers, she was beautiful, but she couldn’t act. That was why she wasn’t getting better parts. She was tagged as nothing but a specialist in leg art. Now she found time for a daily lesson from a dramatic coach and two or three singing lessons a week, to improve her speech. 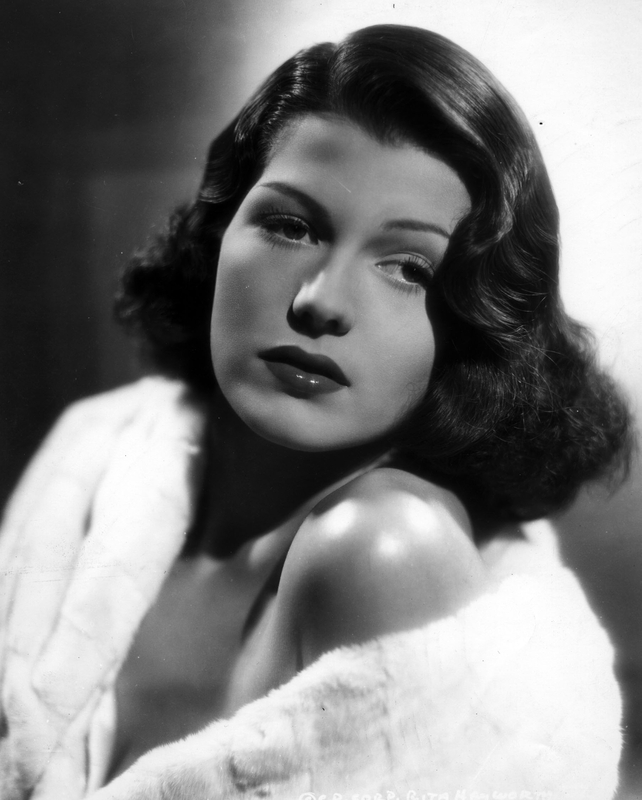 During the Second World War, Hayworth's career went through the roof. Perhaps because of the Good Neighbor Policy, Columbia actively promoted its Latina star, though she could speak only a few words of Spanish. By the end of the war, Hayworth was second only to Betty Grable at the box office and was at the top of her game. 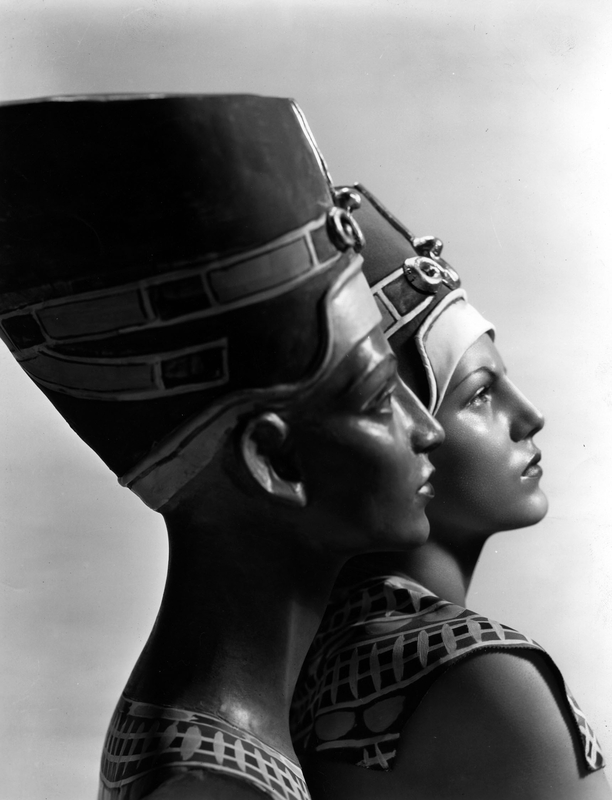 She was such an asset to Columbia that studio head Harry Cohn dubbed her, "the fourth most valuable property in the business. "After the 1946 success of Gilda, Hayworth was featured on four Life magazine covers. In the fourth, she was christened the "American Love Goddess," a nickname that stuck for the rest of her career. In 1949, at the height of her career, Hayworth retired to wed Prince Aly Kahn. The two divorced in 1953, and Hayworth returned to the screen, where she continued to appear sporadically until the early 1970s. 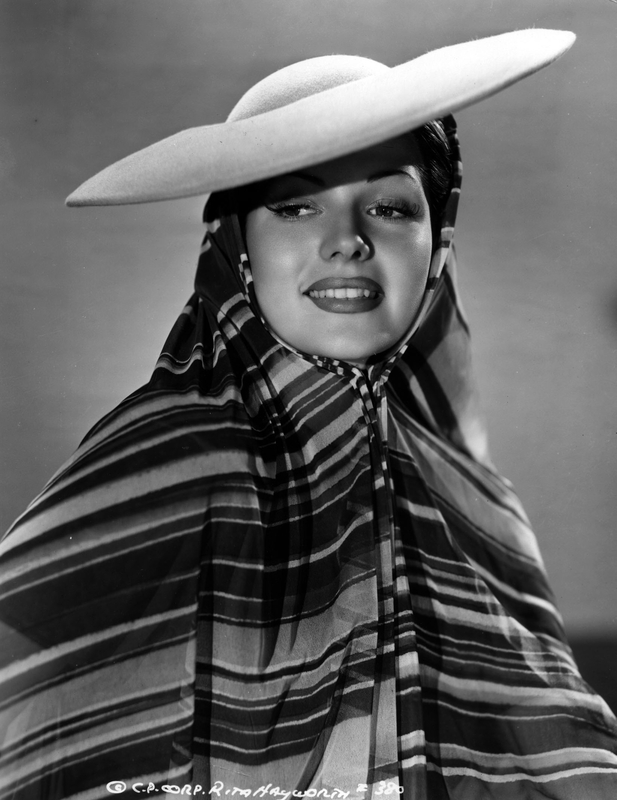 In the 1960s, Hayworth told the readers of Spanish-language magazine Cinemundo, "I loved the movies of Dolores Del Rio, and also Lupe Velez...I didn’t fantasize that I would ever become a star like them, but I also didn’t think I couldn’t make it with the name I was born with."